The answer is yes and no. If you purchase a bond, hold it for the duration of the term, receive an interest rate that pays you a nice income and the borrower doesn’t default, then bonds are safe. However, there are a lot of ifs in that sentence. And those if’s can slide down a slippery slope into illiquidity, payment delays and/or default in times like we are seeing today. There are two main risks in bonds, and both are present in today’s bond market. What happens in the worst-case scenario? Bankruptcy and/or default. Such as we’ve seen in Chrysler, General Motors, Delta Airlines, U.S. Air, United Airlines and even New York City (1975), Cleveland (1978) and Orange County, California (1994). Bondholders negotiate a settlement in bankruptcy court, but typically receive far less than they are owed, far later than they were promised. What happens in the second worst scenario? Illiquidity. If Illinois is issuing bonds every year, they have to raise their interest rate in order to attract new lenders. That means that no one will want to buy your 3% bond from you when they can buy a new bond that offers a 5% yield. If you are able to hold the bond to term and the entity doesn’t default, you’ll be okay. However, if an emergency occurs (loss of income, health expenses, etc.) and you have to sell the bond, you may have to liquidate for pennies on the dollar – that is if you are lucky enough to find a buyer at all. When interest rates rise, the value of your bond goes down (and vice versa). Interest rates in the U.S. are at rock bottom, lower than inflation, which means that at some point, they will have to rise. In fact, Canada, China and the European Union have already started to raise interest rates. According to Jean-Claude Trichet, President of the European Central Bank, “Price stability is of extreme importance for growth and job creation.” This puts pressure on the U.S. Federal Reserve to raise rates as well, although as of April 27, 2011, the Feds are still claiming that the rates will remain low “for an extended period.” Meanwhile, the riskiest bond issuers are forced to raise rates, due to the credit risk, to attract new borrowers. Today, we have an environment where central banks are starting to increase interest rates, meaning that soon the bonds that you currently own will decrease in market value and fewer buyers will be available to purchase them from you, should you desire to sell them. We also have an environment where countries, municipalities and corporations are carrying very high debt, and many are operating at a budget deficit (borrowing to pay bills). Even though states can’t declare bankruptcy, they can default on their bonds. Below are six considerations to help you evaluate the fiscal health of your bond portfolio. Fiscal Health: Look into the debt and revenue of the underlying country, corporation, municipality or revenue stream that is securing the bond. Don’t simply rely on rating agencies (although that’s a good start). Make your own assessment. 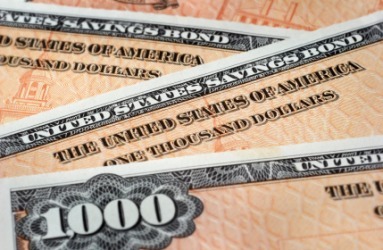 Safe bonds have reasonable debt and solid revenue growth. Risky bonds have massive debt and are borrowing more to pay bills. Bailouts vs. Brides: Separate the bonds that are high yielding (above 8%) from the low-yield bonds. If you have a low-yield bond that passed the fiscal health exam (#1 above) that is maturing in 2-3 years, you can throw that into the bride pile. If you have a low-yield bond that is longer term and has serious fiscal issues, you may be looking at a future bailout and/or default. Remember: if you are going to take on a lot of risk, you want to be rewarded for it. Examine the debt, sales and income of your high yield bonds to determine if you wish to take on that level of risk in what is supposed to be your “safe” money. If you’re able to sell your risky bonds for a good price today, you may be glad that you got out early. Tax-free Muni’s: Do an extensive analysis of any Municipal Bonds you are holding, particularly of the debt. According to Marc Miles, a global strategist and the former senior economist of the Heritage Foundation, the problems in Greece, Ireland and Portugal are similar to the problems in California, Arizona, Illinois, Michigan, Kentucky, Louisiana, and New Jersey. Include union/pension funding/benefits and other post employment benefit obligations and debt in your evaluations. Bond Funds. Funds, in general, are a way to overcome risk by spreading your exposure across multiple municipalities and corporations. However, when an entire industry comes under attack, the fund will lose value. Real estate funds lost half (or more) of their value between 2007 and 2009. Bonds are just beginning to experience a squeeze in both interest rate and credit risk, and bond funds have already began to dip. You’ll notice the big dip that occurred between January 2008 and March 2009, when credit risks became bankruptcies, bailouts and defaults in major corporations, like General Motors, Chrysler, Lehman Bros., AIG, Bear Stearns, Washington Mutual and hundreds of U.S. banks. In general, there are safer investments today than paper assets – like cash-positive hard assets. You need to be smart about the headwinds in the bond marketplace. If you do wish to hold bonds, keep the term short, the credit-worthiness high and scrutinize your holdings like a father evaluating the fiancée of his only daughter. Natalie Pace is the author of You Vs. Wall Street. She is a repeat guest on Fox News, CNBC, ABC-TV and a contributor to HuffingtonPost.com, Forbes.com, Sohu.com and BestEverYou.com. As a philanthropist, she has helped to raise more than two million for Los Angeles public schools and financial literacy. Follow her on Facebook.com/NWPace and on YouTube.com/NataliePaceDOTCOM. For more information please visitNataliePace.com.